The Yeoman Engineers and Designers of Software have stumbled into a scary graveyard!! But can they escape?? The answer to this exciting question and much much more will be decided today!!!!!!!!!!!! As with previous 32in24 installments, we were given 24 hours to make our initial layouts, and then another 24 hours a week later to improve on and detail the maps (with some wiggle room after the deadline to further improve the maps). I contributed a total of 3 maps, all of which I detailed. 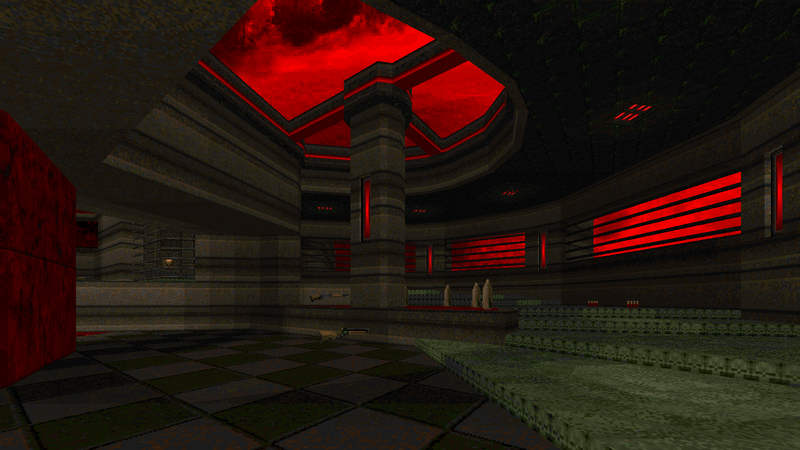 I was very happy with my maps for the most part, especially after getting some solid feedback on them from the CTF playing community. Tootsie Roll Showdown was my first submission. I drafted out the bare layout and item placements in about 2 hours. The whole map is pretty flat and makes use of various lift gimmicks. The flag stand in particular is a bit of a gimmick since it can allow a fast grab, but that route is one-way and requires the player to loop back around on a longer path. 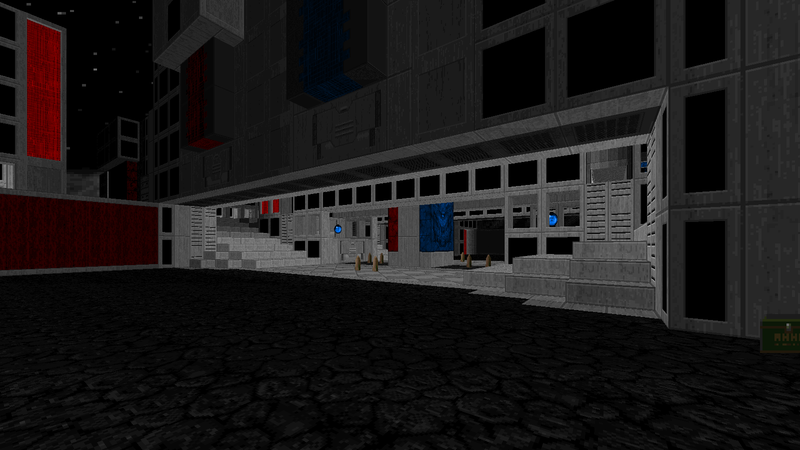 Overall I think this map came out pretty good after making some changes to the initial layout and lift gimmicks. Count Toothy’s Super Canoe was my second submission; it came shortly after I finished up Tootsie Roll Showdown and was a fairly bare layout with quick item placements as well. 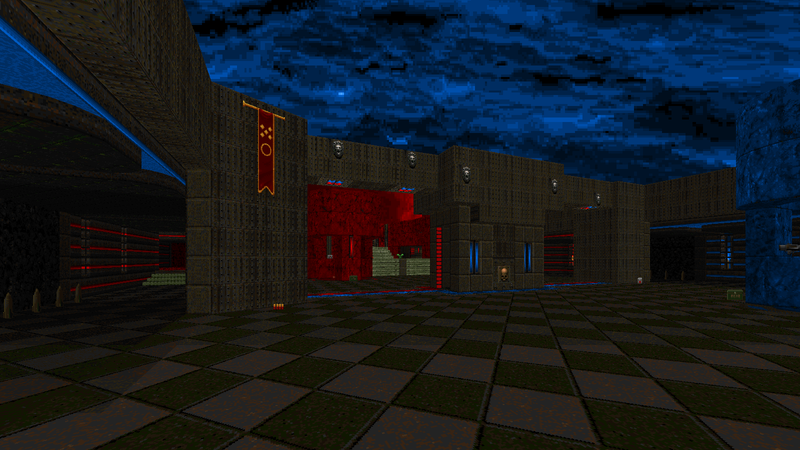 However I had a stronger gimmick in place for this map right from the start, and I think overall this is one of my favorite CTF maps I’ve ever made (which isn’t saying much because I’ve only made a few of them). This is a small~ish map with a fairly open-air layout. The gimmick in this one are the “ramp” shortcuts, which let’s a player get very quick access to the other team’s flag cage. Running across this ramp activates shutters which close off the quick jump to the flag cage; players also have the ability to close these shutters while they are inside of their flag cage. Come On Down to Spooky Town was my third and final map. I spent more time and detailing effort on the first draft of this map, but ironically it was the map that saw the most changes from the initial layout. 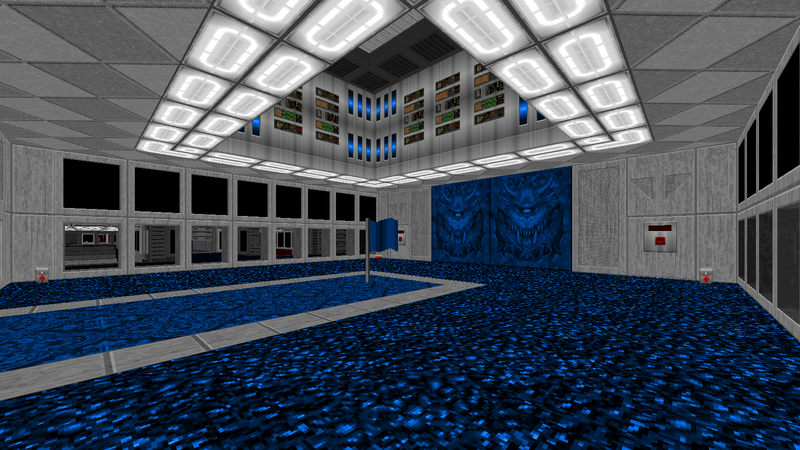 This map is the biggest of the 3 but also probably the most straight-forward, with the only gimmick in the map being the big lift in the flag room. The center of the map saw the biggest changes. Initially there were 2 sets of bridges which could be lowered or raised; the center bridges were the fastest ways to get from base to base, so I wanted to give players control of them in an effort to make teamwork a gameplay element. However these proved to be more of a hassle than anything else, so the center was completely redesigned with stairs instead. 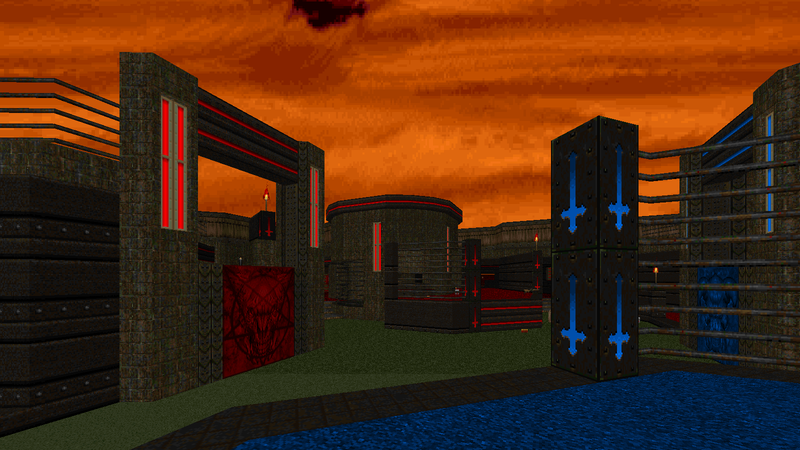 This map is also the spookiest by far, so that automatically makes it the best! 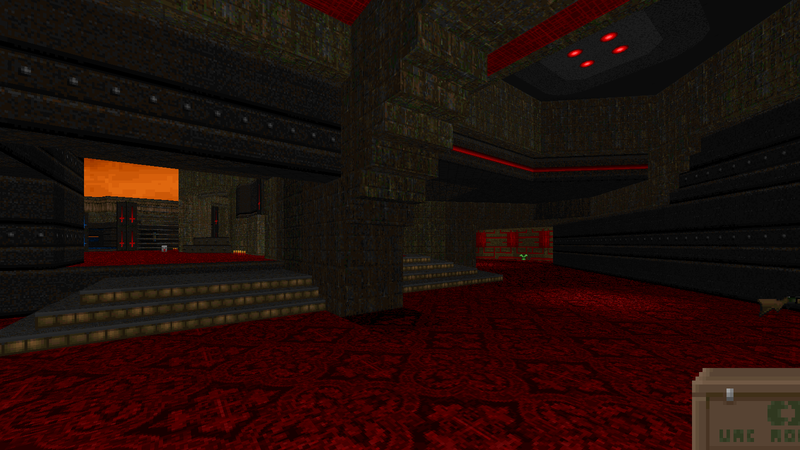 32in24-16: DOOT CTF also won a Cacoward for Best Multiplayer mapset!